2017 Stratos 189 VLO Built with all the features that the tournament fishermen want, the 189VLO gives you amazing performance at an affordable price. 2014 Stratos 189 VLO, 2014 Stratos 189VLO - PSS01021J3142014 Evinrude 150DHLAAB - 53779582014 Stratos 189TRLR - 567SSBL14EF085601PLEASE ASK US ABOUT THE AVAILABILITY OF ZERO MONEY DOWN FINANCING!! !ENGINE WARRANTY UNTIL 2019 !!!!!! 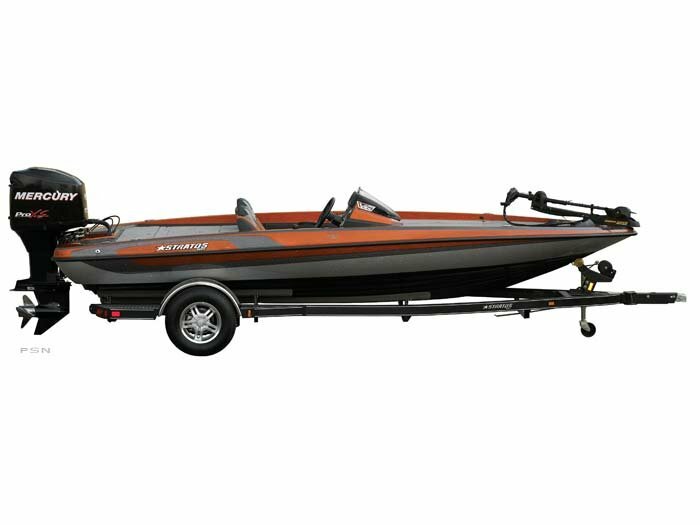 !189VLO performance bass boats are standouts in their class. Rated to 175 hp they're feature-filled tournament boats priced as competitively as you are.INCLUDED OPTIONS IN THIS BOAT:- Minn Kota 80# Fortrex 24V 45' Trolling Motor- 6' Manual Jackplate- Stainless Steel Evinrude 3 Blade Prop- Spare Tire- TWO BIKE SEATSThree generations of boating know-how make Thayer's Marine, Inc. your leader for everything boating. With over 100 years of boating experience, we have learned what works, what doesn't, and pioneered what will. Our sales department works to find you the boat of your dreams, our parts department helps get you back on the water, and our service department fixes those problems you cannot, the first time. Oh, and CSI scores in the upper 95 percentile to back it all up. 2013 Stratos 189VLO, 2013 Stratos 189VLO - PSS01101E3132013 Evinrude 150DHLAA - 053727102013 Stratos 189TRLR - 567SSBL15DF085430EVINRUDE B.E.S.T. WARRANTY UNTIL MAY 2019 !!!!!!!! !PLEASE ASK US ABOUT THE AVAILABILITY OF ZERO MONEY DOWN FINANCING!! 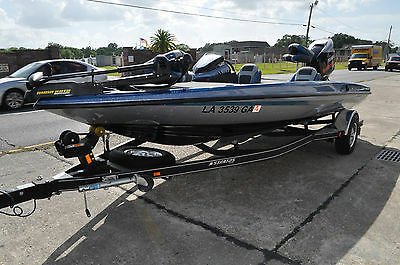 !189VLO performance bass boats are standouts in their class. Rated to 175 hp they're feature-filled tournament boats priced as competitively as you are.INCLUDED OPTIONS IN THIS BOAT:- Minn Kota Terrova 80# I-Pilot w/ US2 Sonar Trolling Motor- Lowrance HDS7 @ Bow Flush Mounted- Lowrance HDS8 @ Console Flush Mounted- Lowrance Structure Scan Transducer- TH Marine 8' Atlas Hydraulic Jackplate- Boat Buckles- Evinrude Raker II 14.5' X 24P 3 Blade Stainless PropellerThree generations of boating know-how make Thayer's Marine, Inc. your leader for everything boating. With over 100 years of boating experience, we have learned what works, what doesn't, and pioneered what will. Our sales department works to find you the boat of your dreams, our parts department helps get you back on the water, and our service department fixes those problems you cannot, the first time. Oh, and CSI scores in the upper 95 percentile to back it all up. 2015 Stratos 189 VLO, 2015 Stratos 189VLO2015 Evinrude E150HGL2015 Stratos-Trlr6 YEAR ENGINE WARRANTY THROUGH BRP.Hull ID # PSS01171K415Motor Serial # 05424874Trailer Serial # 567SSBL18FF086039Features and Performance of Fiberglass, aluminum price.189VLO performance bass boats are standouts in their class. 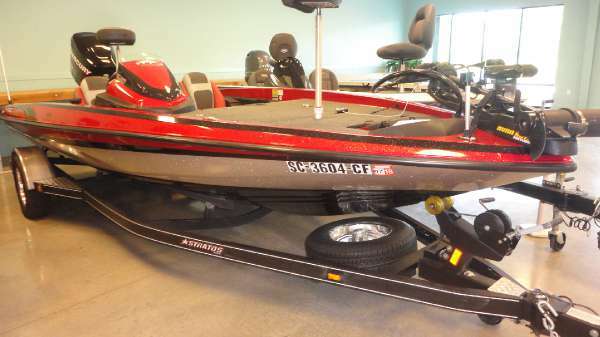 Rated to 150 hp they?re feature-filled tournament boats priced as competitively as you are.Coupled with the world's number 1 Stratos dealer, and you've got an easy riding reliable combination that is going to put you in the best spot to win, every time. Included Options - KeelShield - - Spare Tire - - MinnKota 330 Charger - - MinnKota 70# Troller - - Lowrance Mark 5X - Three generations of boating know how make Thayer's Marine, Inc. your leader for everything boating. With over 100 years of boating experience, we have learned what works, what doesn't and pioneered what will. Our sales department works to find you the boat of your dreams, our parts department helps get you back on the water, and our service department fixes those problems you cannot, the first time. Oh, and CSI scores in the upper 95 percentile to back it all up.Due to the year of this boat, financing is available, please ask about no money down options for approved credit! !All Rebates Included in Pricing. 2016 Stratos 189 VLO Reduced Price!! 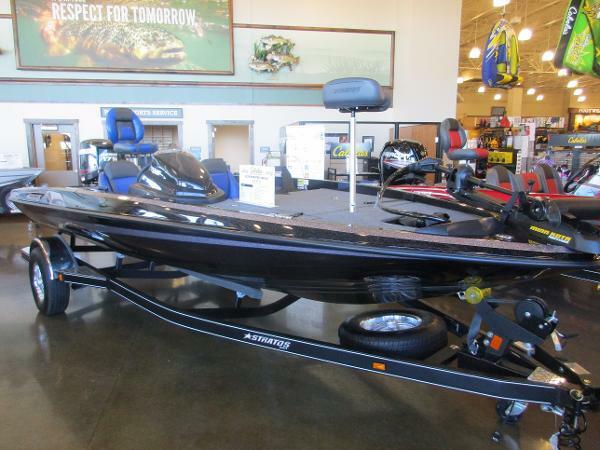 Here we have a 2016 Stratos 189 VLO bass boat. This unit is 18 foot 9 inches long and has a 93 beam on it. 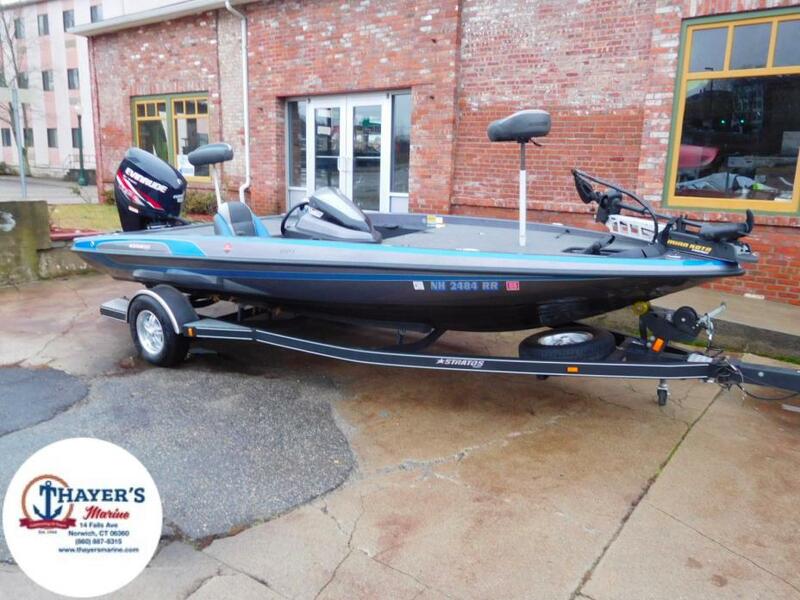 This rig is perfect for the competitive bass fisherman that wants a tournament style boat with great storage and speed, but without the price tag of the 20 boats. 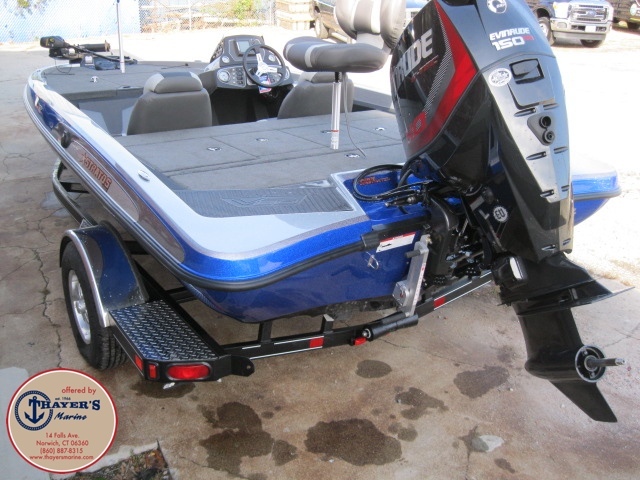 This unit comes with a Minn Kota 70# thrust 24 volt system trolling motor, keel protector, remote drain plug, Livewell pump out system, hot foot, trim level on the steering wheel, 6 slide master jack plate, Lowrance Mark-5X flush mounted at the console, compartment lights, Minn Kota 3 bank 30 amp onboard charger, Stratos boat cover and spare tire with bracket. This rig is powered by an Evinrude 150 HO outboard which will get the boat around 60-65 MPH depending on load. Please feel free to call us at (937)-382-8701 with any questions and availability. 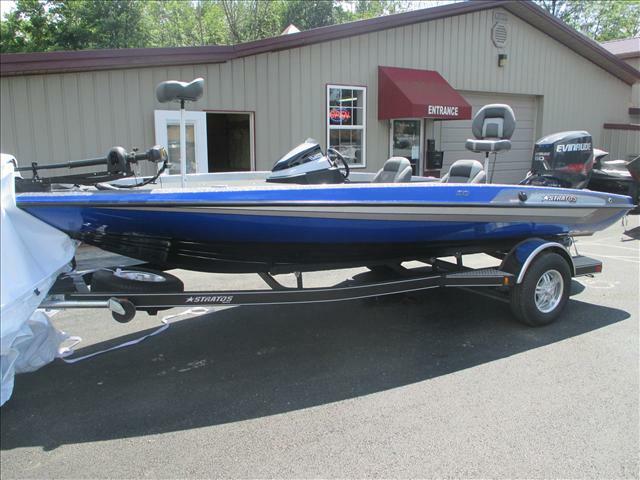 2013 Stratos 189 VLO, 2013 Stratos 189 VLO - PSS02281K2132013 Evinrude 150HP - 063729752013 Stratos Trailer - 567SSBL1XDF085228189 VLO189VLO performance bass boats are standouts in their class. Rated to 150 hp theyre feature-filled tournament boats priced as competitively as you are.Please Ask About the Availability of NO MONEY DOWN FINANCING!- Included Options -- KeelGuard - - Minn Kota Maxxum Trolling Motor, 80 # -- HotFoot -- Lowrance Elite 5 @ Dash - - Lowrance Elite 5 @ Bow - - MinnKota 210 Battery Charger - - Stainless Prop - - Spare Tire -- 3 Batteries - - 2 Fishing Seats -- Capacities -- Overall Hull Length: 18' 9'- Beam w/o Rubrail: 93'- Beam w/Rubrail: 94 1/2'- Maximum HP: 150- Engine Shaft Length: 20'- Inside Depth: 22' - Total Persons, Motor, Gear (lbs): 1325 - Approx. Boat Weight (lbs) - Single Conosle: 1500 - Boat Weight (lbs) - Dual Conosle: 33- Safety / Comfort - - N.M.M.A.-Certified - - Upright, Level Flotation -- Boarding Ladder - - Fire Extinguisher & Horn - - Stainless Steel Bow/Stern Eyes - - Passenger Grab Handle -- Custom Driver & Passenger Bucket Seats - - 1 Bike Seat w/25' Fixed Pedestal Poles - - 1 Fold Down Seat w/13' Fixed Pedestal Pole -- Bilge Pump (Auto & Manual) -- Stainless Pull-Up Cleats -- Spacious Forward Casting Deck -- Tinted Windshield -- Rod Ramp w/Strap -- Rod Box Lengths - - Port Rod Box Length: 7' 6'- Center Rod Box Length: 7'- Trailer Information - - Trailer GVWR (lbs): 3725- Approx. Length On Trailer w/Motor Down: 22' 2' - Approx. Length On Trailer w/Motor Down & Swing-Away Tongue Open: 20' 6'- Width On Trailer: 98' Three generations of boating know-how make Thayer's Marine, Inc. your leader for everything boating. With over 100 years of boating experience, we have learned what works, what doesn't, and pioneered what will. Our sales department works to find you the boat of your dreams, our parts department helps get you back on the water, and our service department fixes those problems you cannot, the first time. Oh, and CSI scores in the upper 95 percentile to back it all up. 2015 Stratos 189 VLO, 2015 Stratos 189VLO2015 Evinrude E150HGL2015 Stratos-TrlrHull ID # PSS01171K415Motor Serial # 05424874Trailer Serial # 567SSBL18FF086039Features and Performance of Fiberglass, aluminum price.189VLO performance bass boats are standouts in their class. 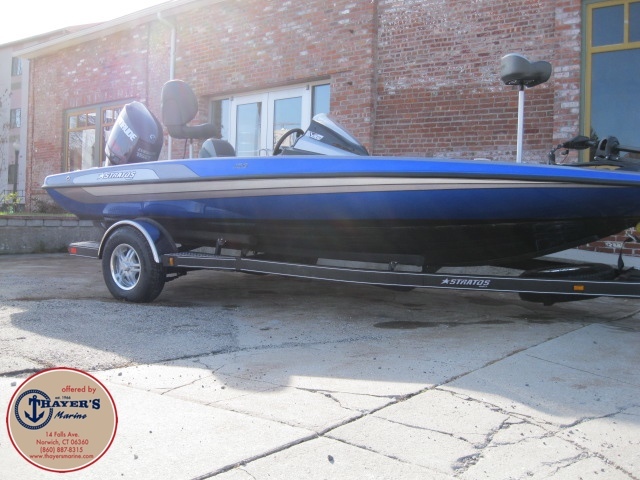 Rated to 150 hp they?re feature-filled tournament boats priced as competitively as you are.Coupled with the world's number 1 Stratos dealer, and you've got an easy riding reliable combination that is going to put you in the best spot to win, every time. Included Options - KeelShield - - Spare Tire - - MinnKota 330 Charger - - MinnKota 70# Troller - - Lowrance Mark 5X - Three generations of boating know how make Thayer's Marine, Inc. your leader for everything boating. With over 100 years of boating experience, we have learned what works, what doesn't and pioneered what will. Our sales department works to find you the boat of your dreams, our parts department helps get you back on the water, and our service department fixes those problems you cannot, the first time. 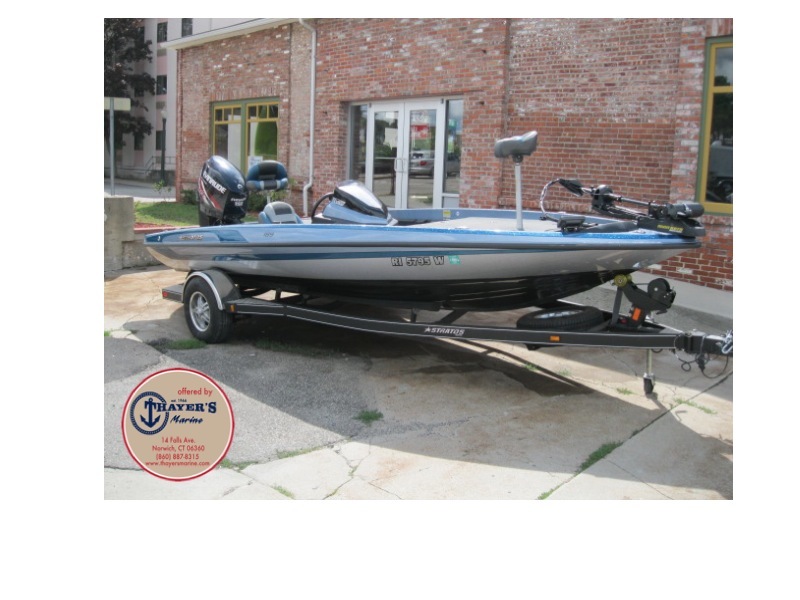 Oh, and CSI scores in the upper 95 percentile to back it all up.Due to the year of this boat, financing is available, please ask about no money down options for approved credit!! 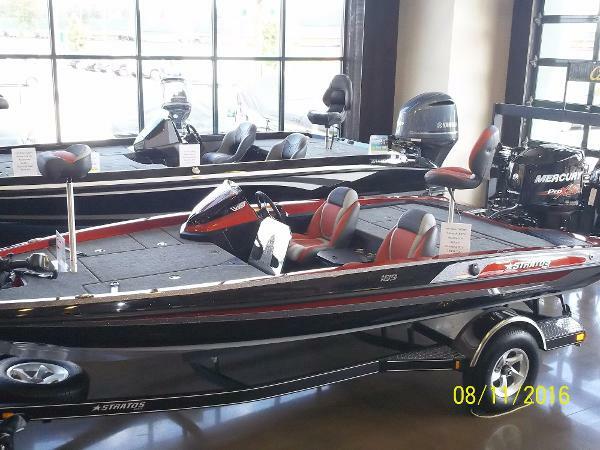 2016 Stratos bass boat 189 VLO, Here we have a 2016 Stratos 189 VLO bass boat. This unit is 18?9? long and has a 93? beam on it. 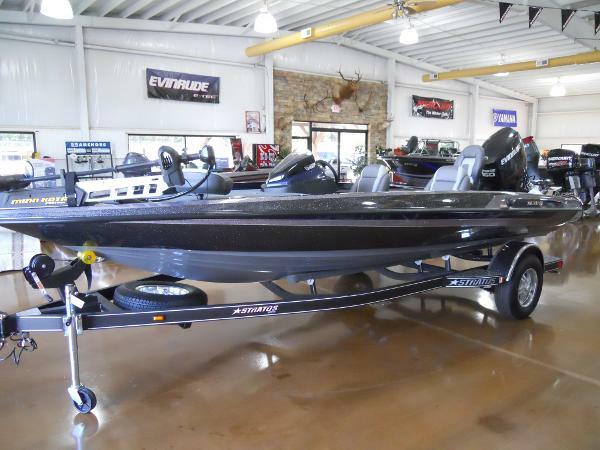 This rig is perfect for the competitive bass fisherman that wants a tournament style boat with great storage and speed, but without the price tag of the 20? boats. 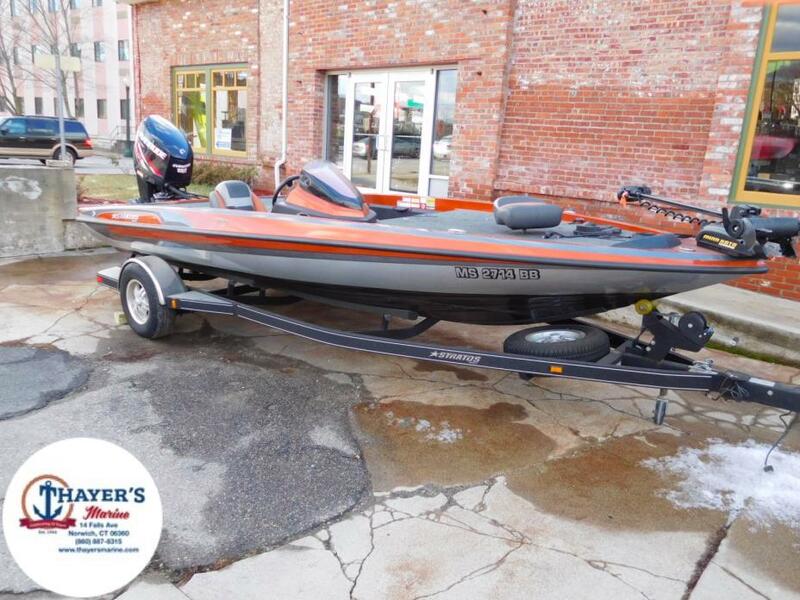 This unit comes with a Minn Kota 70# thrust 24 volt system trolling motor, keel protector, remote drain plug, Livewell pump out system, hot foot, trim level on the steering wheel, 6? 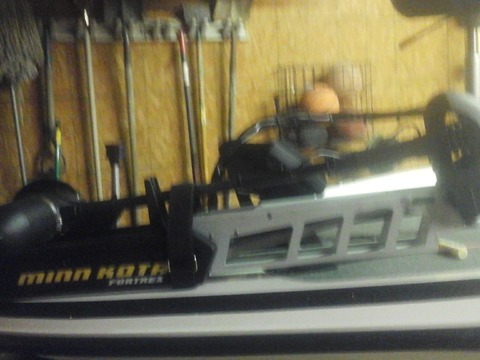 slide master jack plate, Lowrance Mark-5X flush mounted at the console, compartment lights, Minn Kota 3 bank 30 amp onboard charger, Stratos boat cover and spare tire with bracket. This rig is powered by an Evinrude 150 HO outboard which will get the boat around 60-65 MPH depending on load. Please feel free to call us at (937)-382-8701 with any questions and availability.